WE ARE STILL LOOKING FOR THESE 2, THEY WENT MISSING OUT OF OUR YARD ON JULY 29TH 2011, YES 2011! 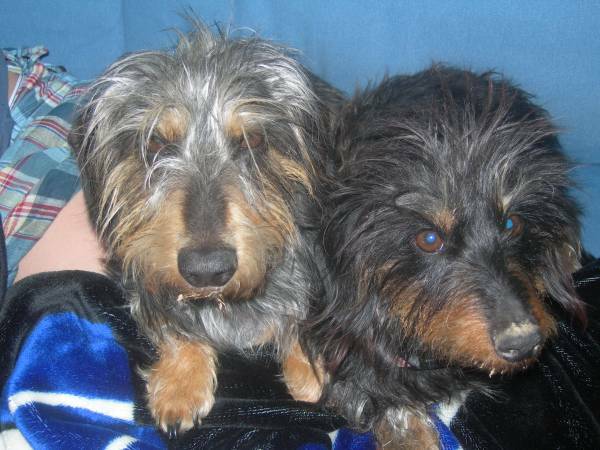 2 MINATURE DACHSHUNDS (MAY LOOK LIKE TERRIERS TO SOME) 1 MALE, SKITTISH AND ALOT OF GREY HAIR, THE FEMALE IS A LONG HAIRED DACHSHUND. THEY ARE SENIOR DOGS!